This is a very elegant and useful piece of furniture. 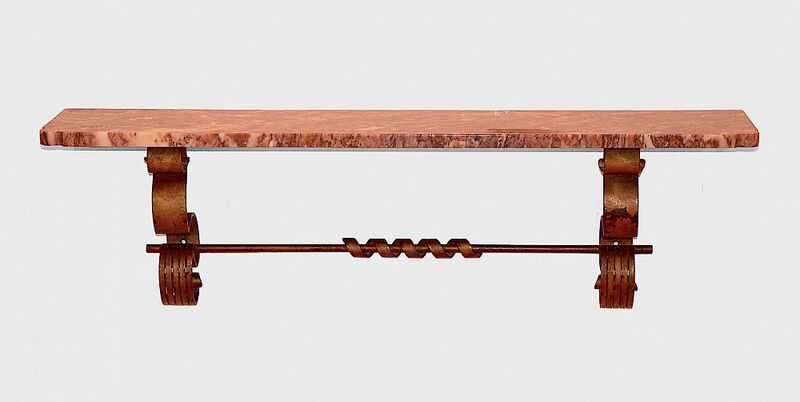 The rectangular slab of rosy reddish white and black veined marble with scalloped front corners sits on a metal plinth with scrolling side supports and a long stretcher with a coiled centre. The metal has been painted a reddish bronze and in places the base metal shows through. The metal frame has to be attached to a wall with heavy screws and rawl plugs.